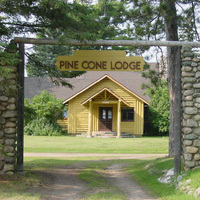 Pine Cone Lodge is located on a narrow strip of land between Big Sand Lake, one of the premier recreational and fishing lakes in Hubbard County and all of Minnesota, and Loon (Thomas) Lake, an environmental lake. There is a total of 5-6 acres of land for 2000 feet of lakeshore. 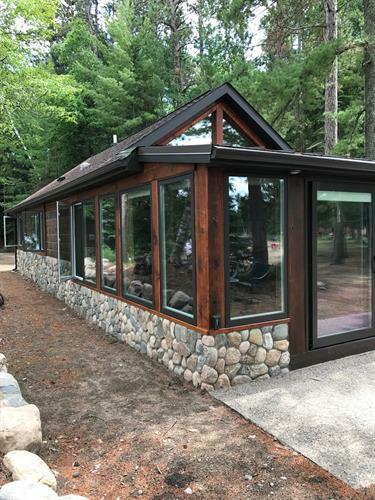 Big Sand Lake is a spring fed, sand bottom lake with 600 feet of sandy beach fronting Pine Cone Lodge. 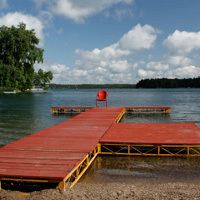 It is the best lake for swimming, boating, and fishing for walleye or northern pike. The ideal sand beach with a gradual drop off is perfect for kids. 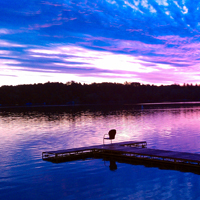 Loon Lake is shallower and has more cover for fish, ideal for bass and panfish. Great scenery!! Designed to be Vacation Home getaway. 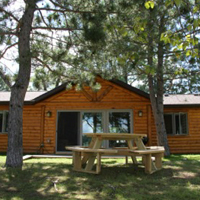 Nine NEW (2008, 2010, 2013, 2015 and 2017)) homes located just feet from Big Sand and Thomas Lake. 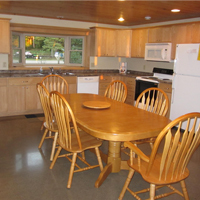 Rustic Lodge is perfect for large get-togethers. Homes are built to be like a home away from home with comfort and convenience. Located just 2 miles north of Dorset and the Heartland Trail. 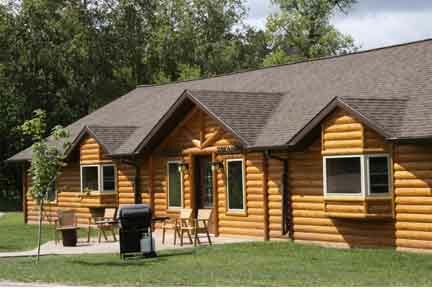 Perfect location to visit Itasca State Park and Paul Bunyan Forest.